Christmas is almost here and as many of you know, we've been enjoying a lot of new holiday books this season, as well as some old favorites. Just when I thought we had completed our collection for the year, we were introduced to another wonderful addition to our family of holiday reads. It's called There's Certainly a Santa. It's one book that I definitely couldn't wait to share with everyone. Given our belief system, I make it a number one priority to teach my son that the real reason for the season is to celebrate our savior's birth. Of course, there are so many other fun aspects of the Christmas holiday, like decorating, baking, spending time with family, and of course Santa Claus and "his big delivery of presents" underneath the tree. I often think back to when I was a little girl. Oh the thrill of waiting for Santa to come and deliver my presents! I could hardly contain myself! We'd leave the cookies and milk out for him, and I'd be sure to get to bed nice and early, so that he can arrive on time. I remember how magical it was for me growing up, so I wanted my son to experience all of this, too. There's really nothing like it! At the same time, I don't want to lie to him. This goes against our beliefs and even discredits my trustworthiness as a mother and a Christian. After all, I want to set a good example for him, so that he can grow up following Godly values and virtues. With that being said, I've been deliberating ways to approach the whole Santa Claus dilemma. He is young, but getting to an age where he will begin asking more questions, so time is of the essence for me to make a decision. I often contemplated with several ideas, like saying we were Santa's helpers and that since he is so busy, he relies on us to go out and get the presents for him, but in all reality that's still a stretch from the exact truth. I could incorporate the true story of St. Nicholas–after all, he was the man that inspired the Santa Claus we're all familiar with now. At the same time, how do I justify his existence today, and what about the whole North Pole thing? With all my worries, I have to say that being in touch with the creators of There's Certainly a Santa couldn't have come at a better time! This children's book offers the perfect solution for any parent out there who's experiencing the same concerns, whether or not to tell the truth about Santa's existence. 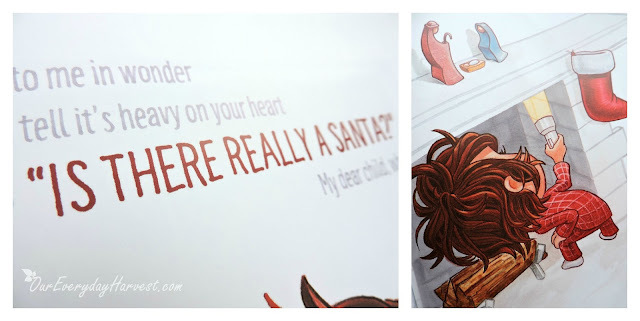 As young children get a little older, they inevitably ask the age-old question: “Is there really a Santa?” In an effort to arm parents with a valid response to this innocent interrogation, we have crafted this children’s book, There’s Certainly a Santa, a modern Christmas story that equips parents with the tools needed to navigate this often complicated conversation. 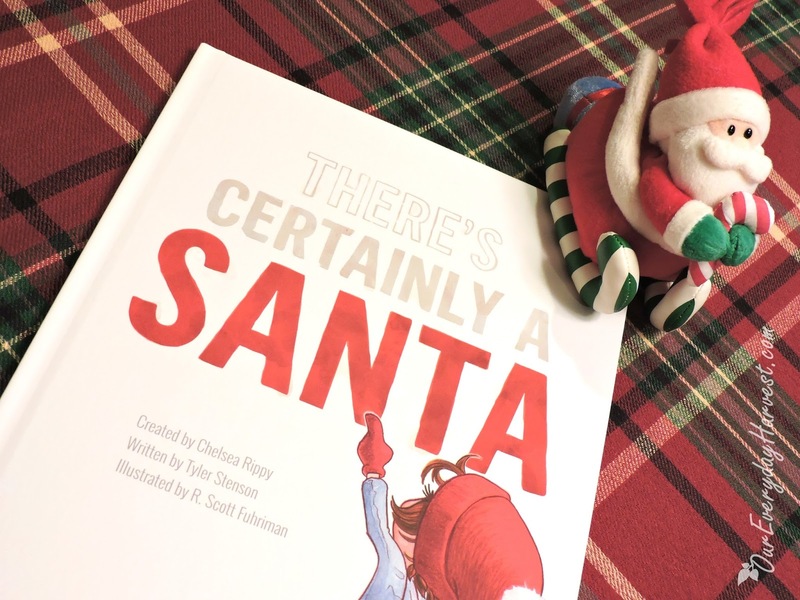 Yes, for parents and children alike, this new Christmas children’s book will help you and your child learn the REAL truth about Santa, while also starting a fun new Christmas tradition at the same time. Though the secret will be out, the magic will most certainly remain … and it just might surprise you both. Chelsea Rippy is an active mother of four, a yogi and a foodie living in Utah. The founder and former CEO of Shade Clothing, she is a realist who enjoys taking risks, a constant creator, entrepreneur and dreamer. Born in Wyoming but raised in Oregon, Tyler Stenson is an award-winning singer-songwriter by trade and sports fan by passion. His acoustic “Elegant Folk” music has attracted a loyal following and provided him with lovely life experiences. R. Scott Fuhriman was born in Idaho, but spent his formative years in St. Louis, MO. He now lives with his wife and children in Springville, UT and works full time as an Illustrator, Graphic Designer and Creative Director. There's Certainly a Santa is a hardcover picture book that includes plenty of delightful color illustrations. If you visit the book's website, you'll find all the answers to where the story actually leads. I personally wanted it to be a surprise, so I decided to wait until I had the actual book in hand. I absolutely love the honest approach that this takes, while at the same time it still reminds children (and even adults) that Santa does exist, just not in the way that we may have originally thought. With that being said, I won't give too much away, since you might also appreciate the surprise like I did. One of the other neat things about this book is that it doesn't just offer a big reveal on who Santa really is, but also serves as an activity/mission book in a sense. 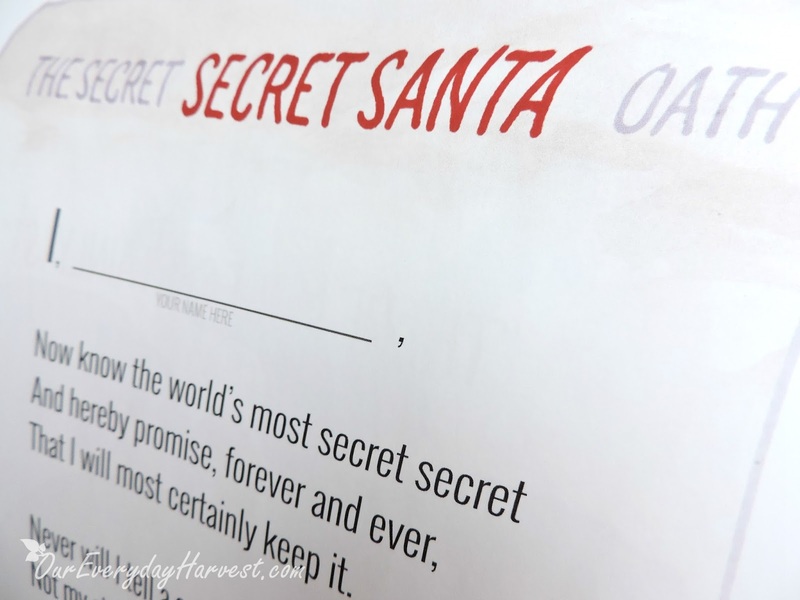 Again, without giving too much away, readers will learn that the information they are being told is "top secret" and they, too, can partake in the Christmas fun–almost like a game! 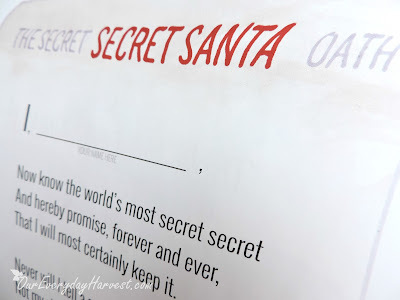 There's even a special oath actually included in the back of the book that children can sign, confirming their new discovery of Santa's existence. 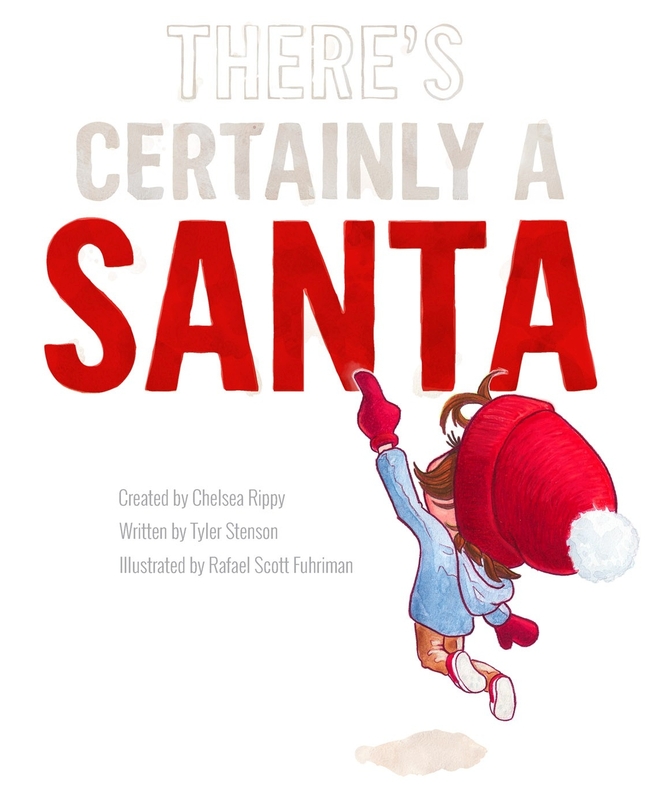 When you get a moment, you should definitely check out the following video by Chelsea Rippy (co-creator of There's Certainly a Santa) as she tells the story of the day she used this book to reveal the truth about Santa to her own daughter. Just a forewarning: There are some minors spoilers about the book included in this video. I would never want to destroy the wonders of Christmas for my child. There's absolutely nothing wrong with him delighting in make-believe Christmas stories, so I don't mind him reading books or watching cartoons that talk about Santa, his elves, or the North Pole. After all, we also enjoy the Grinch, Frosty the Snowman, and Rudolph, and those are all fictional tales. My main purpose is to be truthful with him about what the holiday means. I was previously torn, because I didn't want to completely eliminate this precious childhood tradition for my son–one that I personally cherished when I was a little girl. Who would've thought it could be so complicated? The things you don't think of until you have kids! That's why I really enjoy the entire concept behind There's Certainly a Santa. It falls in line with one of my personal ideas of what we were originally going to do, but at the same time offers a way to tell the complete truth. Although the reality of things may be a little different than what I experienced when I was young, my son can still delight in the wonders of Santa Claus. Whether you have a younger child or older children who already believe in Santa, you may be struggling with the best way to approach the truth. 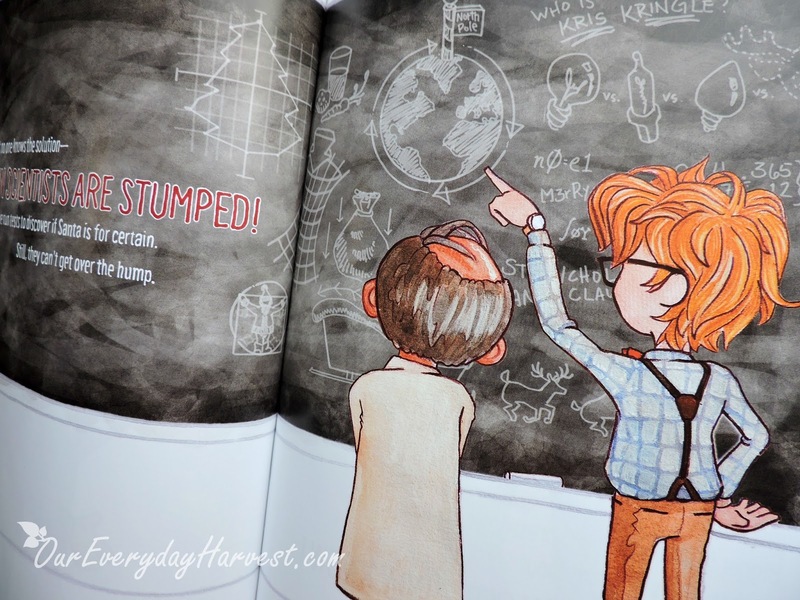 This book is definitely a helpful resource that offers a fun, practical solution. Be sure to also connect with There's Certainly A Santa on Twitter and Facebook for more information and updates! I'm super excited to be extending a wonderful giveaway opportunity to Our Everyday Harvest readers! 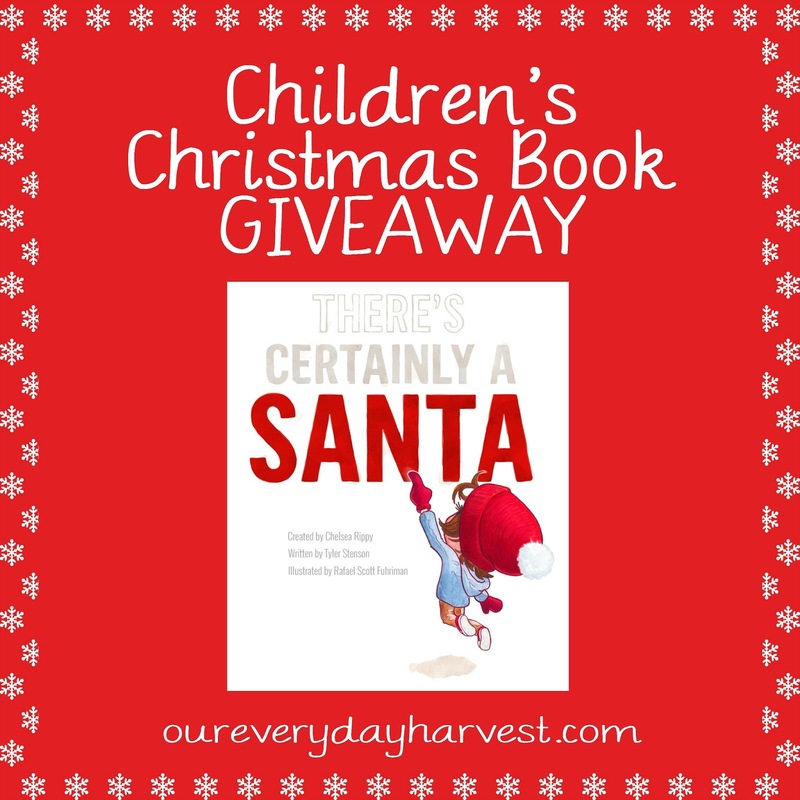 One winner will receive their own copy of There's Certainly a Santa! NOTE: Since there is a short turnaround time for the holiday, the winner must respond back with their shipment information within 24 hours of notification in order to be eligible for the prize. Although there are no guarantees, the publisher will do their best to try and get the book to you by Christmas.